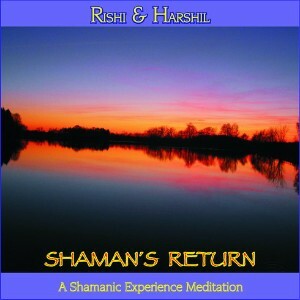 Shamans Return is a 62 min. meditation in five stages in an easy format for the daily practice. It's a great way to shake and dance off the stress and pressure of a nine to five (or even more?) workday.... The music is tribal and rhythmic, transporting. Dynamic drums, percussions and voices support the first two active stages... Then the shaman's drums take you onto their wings. Plus some soothing sounds of Sansula and monochord to get you back. 1. Shaman's Breath - Breath of fire - Breathe in twice through the nose and once out through the mouth. Use your whole body to support the breathing. 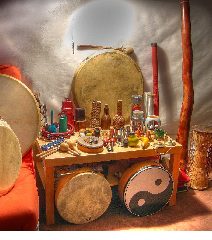 Drums and voices help you in the breathing phase to charge you with energy and oxygen.